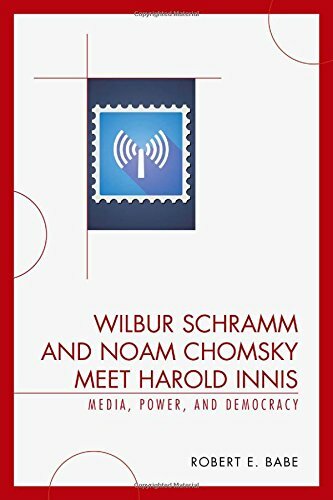 9780739123683 | Lexington Books, April 21, 2015, cover price $95.00 | About this edition: Wilbur Schramm and Noam Chomsky Meet Harold Innis is an original, critical, in-depth analysis of the media and communication thought of Canadaâs most highly acclaimed scholar, Harold Adams Innis. 9780792393580 | Kluwer Academic Pub, January 1, 1994, cover price $239.00 | About this edition: Although there is a burgeoning interest among economists in `information economics', much of the literature adopts a reductionist conceptualization of information, defining it exclusively as reduction in uncertainty, exploring the implications of imperfect information on markets. 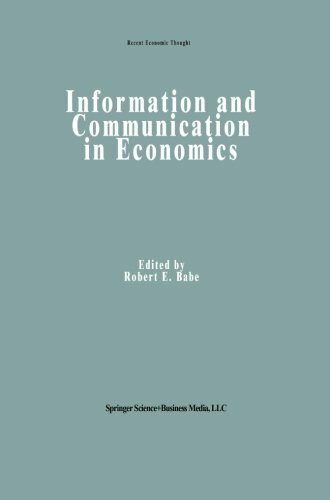 9789401049771 | Reprint edition (Springer Verlag, September 27, 2012), cover price $239.00 | About this edition: Although there is a burgeoning interest among economists in `information economics', much of the literature adopts a reductionist conceptualization of information, defining it exclusively as reduction in uncertainty, exploring the implications of imperfect information on markets. This book addresses the notorious split between the two fields of cultural studies and political economy. Drawing on the works of Harold Innis, Theodor Adorno, Raymond Williams, Richard Hoggart, E.P. 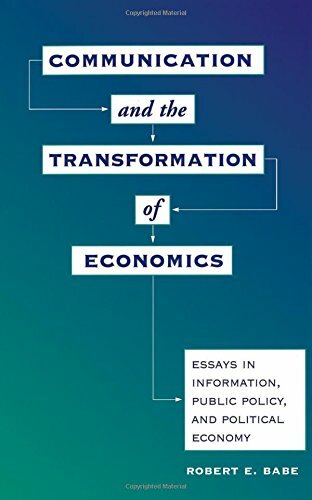 Thompson, and other major theorists in the two fields, Robert E. Babe shows that political economy can be reconciled to certain aspects of cultural studies, particularly with regards to cultural materialism.Uniting the two fields has proven to be a complex undertaking though it makes practical sense, given the close interaction between political economy and cultural studies. Babe examines the evolution of cultural studies over time and its changing relationship with political economy. The intersections between the two fields center around three subjects: the cultural biases of money, the time/space dialectic, and the dialectic of information. 9780739123669 | Lexington Books, November 28, 2008, cover price $85.00 | About this edition: This book addresses the notorious split between the two fields of cultural studies and political economy. 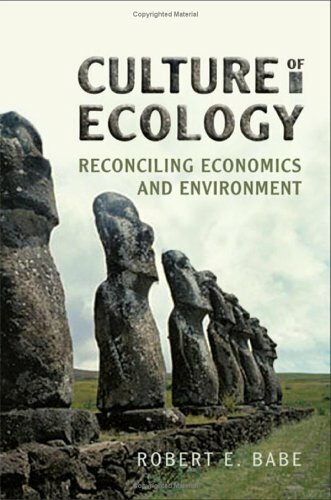 9780802035950 | Univ of Toronto Pr, March 20, 2006, cover price $80.00 | About this edition: There is a fundamental contradiction between economics and ecology. 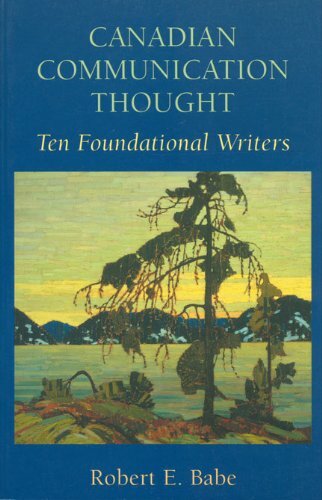 9780802040985 | Univ of Toronto Pr, June 1, 2000, cover price $97.00 | About this edition: Canada has a rich heritage of English-language communication thought. 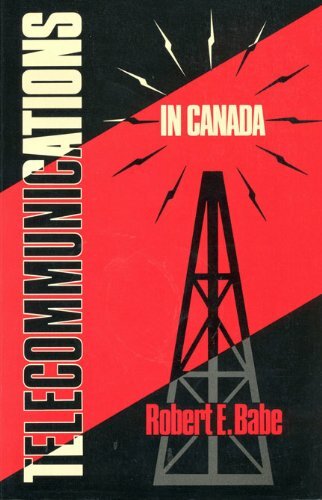 9780802079497 | Univ of Toronto Pr, June 1, 2000, cover price $43.95 | About this edition: Canada has a rich heritage of English-language communication thought. 9780802067388 | Univ of Toronto Pr, February 1, 1990, cover price $35.95 | About this edition: This study provides Canada's first comprehensive, integrated treatment of the emergence and development of key communication sectors: telegraph telephones, cable TV, broadcasting, communication satellites, and electronic publishing. 9780802058317 | Univ of Toronto Pr, January 1, 1990, cover price $55.00 | About this edition: This study provides Canada's first comprehensive, integrated treatment of the emergence and development of key communication sectors: telegraph telephones, cable TV, broadcasting, communication satellites, and electronic publishing.